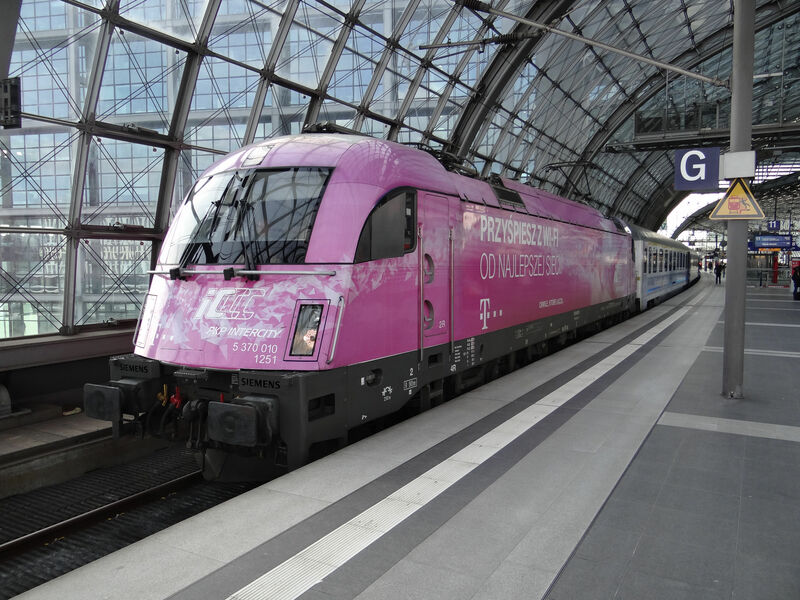 The EuroCity international express train between Berlin and Warszawa (Warsaw) is nowadays typically run by Polish state railways PKP's locomotives and coaches. Here a Polish Taurus of the Polish class 370 with Berlin-Warszawa-Express coaches is waiting for departure at Berlin Hauptbahnhof 4.3.2016. Picture by Ilkka Siissalo. Another picture of the same Siemens Taurus as in the picture above. 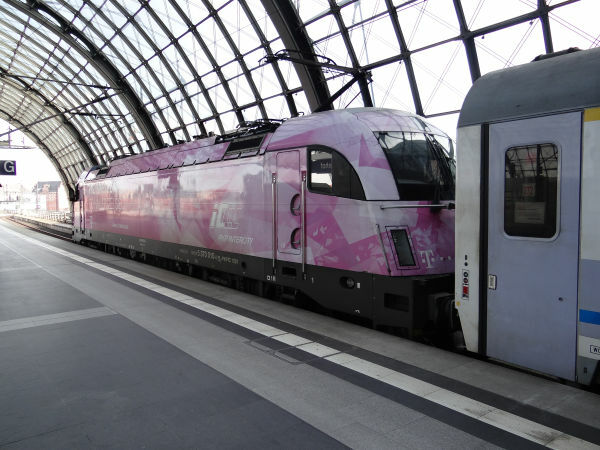 The Polish class 370 is essentially similar to the Austrian ÖBB class 1216 and it is the third generation of Siemens' Taurus locomotives with multiple electric systems. The advertisement stickers advertise for Telecom Deutschland, which is active as a telco even in Poland. The locomotive is owned by the PKP subsidiary company PKP Intercity. Berlin Hauptbahnhof 4.3.2016. Picture by Ilkka Siissalo. 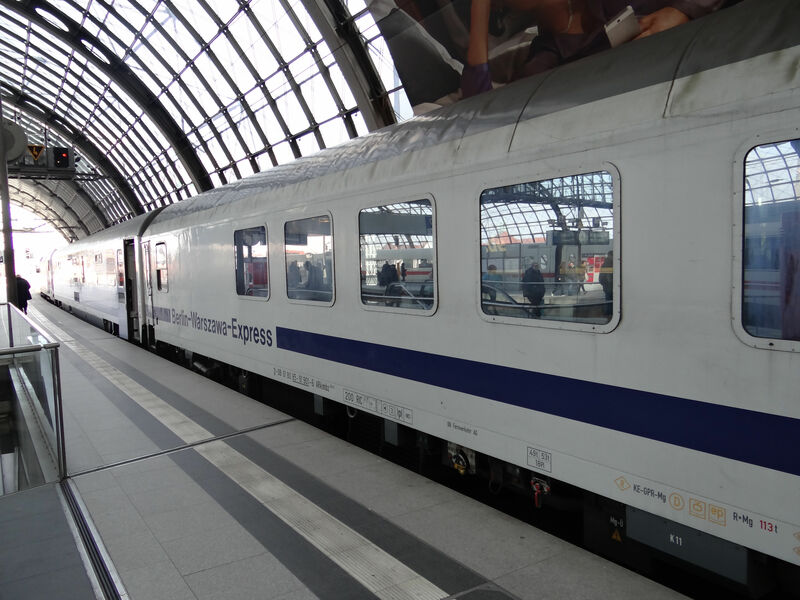 The special Berlin-Warszawa-Express coaches are actually just quite normal old InterCity coaches of DB, but specifically painted. Instead of an IC train's normal red stripe, these have similar but dark blue stripes. As the small print on the side of the coach says, the owner of the coach is DB Fernverkehr AG, it is just leased or loaned to PKP. Picture at Berlin Hauptbahnhof 4.3.2016 by Ilkka Siissalo. 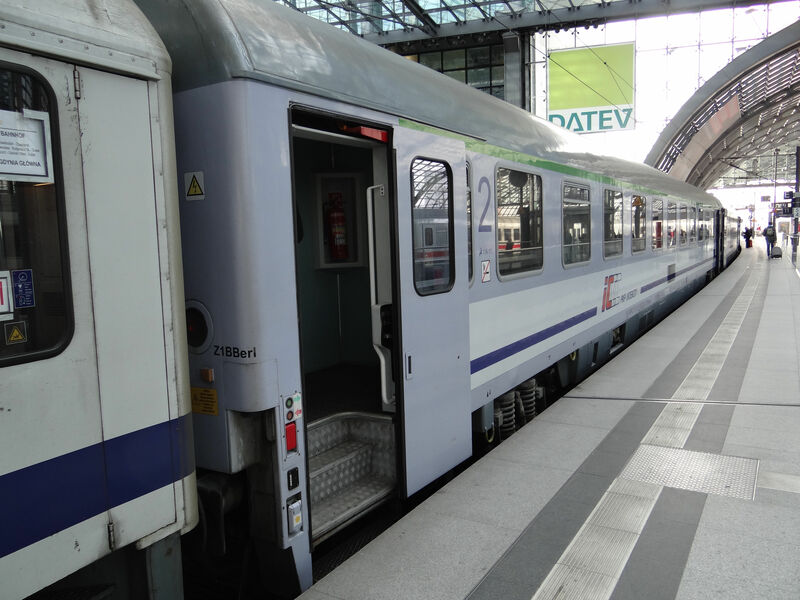 Not all the coaches of a Berlin-Warszawa-Express are old DB coaches. This one is owned by PKP Intercity and it is in current PKP IC colours. Picture at Berlin Hauptbahnhof 4.3.2016 by Ilkka Siissalo. Polish PKP Cargo is also active in Germany, although it is fairly rare to see one of their trains in circulation. 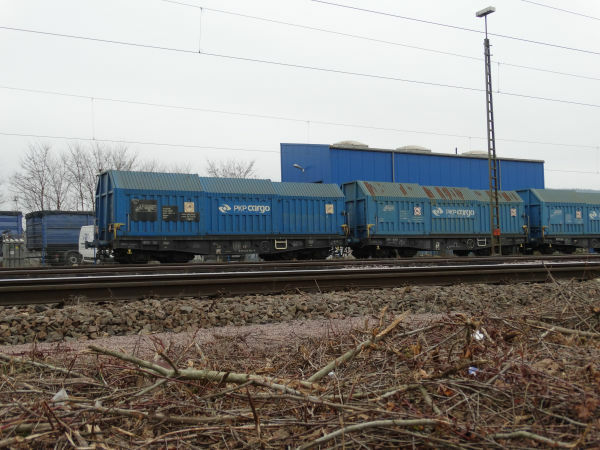 Here a PKP Cargo TRAXX has just brought in a rake of empty steel roll wagons and taken a similar but loaded train towards Poland. Picture in Trier 18.12.2016 by Ilkka Siissalo.